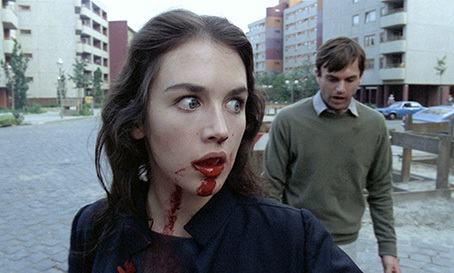 Slarek is still reeling from POSSESSION, Andrzej Zulawski's extraordinary 1981 collision of relationship drama, politics, horror, and a whole lot more, released this week on a splendidly featured Blu-ray by Second Sight. Have you ever been in a relationship that ended badly? I'm talking really badly here, the sort where you end up smashing crockery and shouting at each other and where just about anything said by either party becomes the trigger for conflict escalation. If you've been spared this unpleasant and exhausting experience then there's still a fair chance you'll have witnessed it being performed by others and wondered quietly to yourself how they stayed together this long. Oddly enough, this explosive peak of discord has proved surprisingly hard to convincingly recreate on film. Too often it comes across as exactly what it is, two actors letting rip with their restraints uncoupled, and if they push it too hard then the whole thing tips over into colourful histrionics. Entertaining perhaps, but rarely authentic. Such displays lack that certain something that you probably have to experience to recognise on screen as real. One place you certainly don't expect to collide headlong with a completely credible example of this type of conflict is the front half of a film that's too often sold on its horror credentials, but that's just what you get in Possession, an extraordinary 1981 work from Polish born director Andrzej Zulawski. It all kicks off soon after shady businessman Mark returns to his West Berlin home from an unspecified trip and confirms his suspicions that his wife Anna has found herself a lover. In no time the two are at each other's throats. This hits its first peak at a doomed-from-the-start café meet-up to discuss how they move forward, which starts when them refusing to face one another and ends with Mark chasing Anna through the building like a furious cruise missile and throwing furniture asunder, until soundly floored by what looks like the entire kitchen staff. Yet at this point the couple have both some way still to go before they hit emotional rock bottom. What sells this even at its most fraught is a pair of boldly brilliant performances from Sam Neill and Isabelle Adjani. Perched on a fragile ledge on the brink of madness, they wrestle with their confusion and inner pain and bellow into the abyss without ever breaking the delicate tether that binds them to reality. Such acting requires a rare blend of fearlessness, raw talent and faith in the director, a willingness on the part of both to push themselves further than logic would normally dictate in a manner that electrifies every encounter between them and transforms their solo scenes into often memorable set-pieces. The most justifiably famous of these is Adjani's explosive subway breakdown, where distress mutates into wild and ultimately orgasmic hysteria and a climactic expulsion of something whose true form and intent we can at this point only guess at. Adjani is genuinely astonishing here, hurling herself headlong through the emotional meat grinder in a performance that bagged her the Best Actress César, but apparently took her some years to fully recover from. Equally impressive is Adjani's co-star Neill, who is required to jump through an even greater range of emotional hoops in a bumpy journey that sees him cast as confused and jealous husband, painfully lonely partner, cheerfully attentive father, self-confident criminal conspirator and even ruthless revenger, all without straining credibility or breaking his bond with the audience. While Anna appears to be consumed by her trauma, Mark slowly learns how to feed off of his and ultimately draw strength from it, seemingly indifferent to its long-term corrosive effects. The film's emotional extremes are matched by some of the most eye-popping mobile camerawork this side of The Evil Dead, courtesy of César award-winning cinematographer Bruno Nuytten. Bug-eyed in its use of wide lenses and almost constantly on the move, it never observes emotional turmoil when it can participate in it, rocking back and forth with Mark as he agitatedly awaits his wife's return, dancing with Anna during her kinetic subway meltdown, prowling with characters as they walk, and floating around them like a curious ghost when they halt. And despite creating a most palpable sense of barely contained madness, there's not a false moment anywhere in Zulawski's direction, no shot or camera movement that is not imbued with a clear and sometimes dynamic sense of purpose. As a portrait of a relationship collapsing into madness the film would be strong enough meat, but underscoring the drama are a number of potent metaphoric strands whose purpose and interrelationship require at least two viewings to untangle and fully appreciate. Chief amongst these is a fascination with duality, appropriate in an ideologically and physically divided city (this choice of location was a deliberate political statement on the exiled Zulawski's part), which is most literally realised in the figure of warm and kind-hearted schoolteacher Helen, who bonds with the couple's young son Bob and is an idealised dead ringer for Anna and at one point looks set to replace her in the family unit. It's uncertain whether this visual similarity to Anna is actually the product of Mark's own loneliness and wish fulfilment or a genuine doppelgänger whose male equivalent is slowly taking shape in Anna's bedraggled apartment, a creature born of Anna's unhappiness and neurosis (given disturbingly gooey shape by master creature creator Carlo Rambaldi). It's a concept that was successfully road-tested by David Cronenberg two years earlier in The Brood – no surprises, then, that the broken relationships in both films were autobiographical in origin and the product of the directors' hostility towards their respective ex-partners. But it's here that the comparisons end. Actually, it's here that comparisons with any film end. It may be walking with cliché to say so, but Possession really is quite unlike anything else you're likely to have seen and heard, and while it repeatedly risks toppling headlong into madness, from the early bickering to the gloriously apocalyptic ending there's not a shot nor an edit nor a nuance of performance that feels accidental or lacking in purpose here. Short on clear explanations but ripe with symbolism, suggestion and metaphor, it's wild, weird and wonderful, and exactly the sort of film that keeps me passionate about daring outsider cinema. Framed at its original 1.66:1 (hoorah! ), the transfer here is a clear improvement on the previous DVD, but still not without its issues, largely in the area of contrast, which is sometimes on the harsh side, delivering deep blacks but pulling in surrounding detail. I did wonder how much of this was down to the source material, given the quality of the transfer when the lighting conditions are more favourable, and the creature in Anna's bedroom is always clearly rendered, despite the room's appropriately subdued lighting. Elsewhere the results are very pleasing, with crisp reproduction of fine detail and a tonally attractive reproduction of the film's moody colour scheme, from the seemingly symbolic blues, whites and yellows of room interiors to the earthy browns and cold greys of the buildings in the derelict Turkish quarter. Film grain is visible but feels organic to the picture (though become a tad more prominent in a couple of the darker scenes) and there is no trace of damage or dust. A couple of minor compression bands are visible early on but soon disappear. On the whole, a solid job. The English Linear PCM 1.0 mono soundtrack copes well with with actors who are repeatedly pushed to their vocal limit, but the dialogue, whatever the volume, is always clear and intelligible and never shows even a trace of distortion. The sound effects and music are also cleanly reproduced, and there are no traces of damage or background hiss. Clear optional subtitles for the hearing impaired have been included. This new Blu-ray from Second Sight is awash with fine extras, including two excellent commentary tracks, a solid making-of documentary, and plenty more. The driving force behind these appears to be Daniel Bird, whose passion for the film and knowledge of cinema really add to the depth and breadth of the extras. Director Andrzej Zulawski, most ably prompted by Daniel Bird, comments in impeccable English on all aspects of the film, including how the project developed, his specific reasons for shooting in Berlin, casting the lead roles, the use of specific colours, the doppelgänger motif, working with the crew, the autobiographical elements, and a whole lot more. It's a little unsettling to discover that the man his own partner left him for had the same name as his on-screen equivalent and that Mark's later assault on him was driven primarily by Zulawski's hatred of the man. 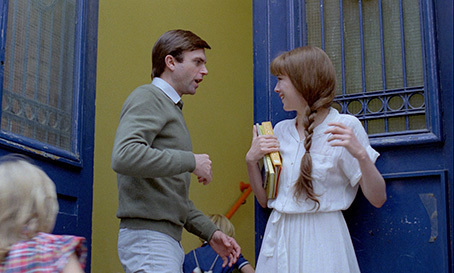 Specific scenes are explored in detail and there's even the occasional bit of lively verbal sparring between the two when Zulawski disagrees with a point Bird is making. Surprisingly, perhaps, Bird doesn't challenge Zulawski when he claims that the Steadicam wasn't yet invented when they shot the film, given it's prominent use three years earlier in John Carpenter's seminal Halloween. Perhaps my favourite Zulawski quote of all here comes late in the commentary when he complains that "most of the good films have disappeared because they don't want to bite any more." Absolutely. A first-rate extra. Daniel Bird here is joined by the film's American co-writer Frederic Tuten, whose thoughtful reflections prove every bit as revealing and entertaining as Zulawski's, covering new ground and bringing a welcome second perspective to previously discussed elements. 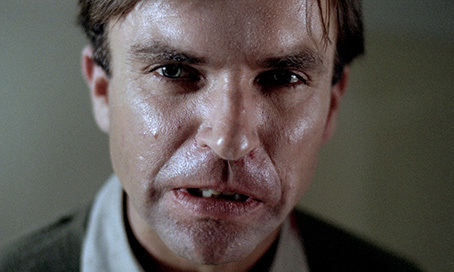 Topics covered here include how Tuten came to be involved with the project, how it dented his liberal politics, his positive working relationship with Zulawski, the initial casting of Sam Waterston in the role of Mark, what Adjani brought to the character of Anna, working with Sam Neill, the subway scene, his disappointment that Zulawski chose to show the monster (which Bird convincingly counters), and a good deal more. Tuten and Bird are clearly on the same intellectual wavelength here, resulting in some fascinating and in-depth discussions on everything from politics to the cinema of Jean-Luc Godard. Again, a terrific extra. A useful rounding up of the key information on the film's initial conception, production and release, built around interviews with director and co-writer Andrzej Zulawski, co-writer Frederic Tuten, producer Marie-Laure Reyre and camera operator Andrzej J. Jaroszewich. Much the ground covered here is duplicated elsewhere, sometimes in more detail, though the extensive contributions of Reyre and Jaroszewich are unique to this feature. Personally I'd watch this extra first and let the commentary tracks expand on what is said here (that's what I did anyway, and it worked for me). A 2009 interview with director Zulawski conducted entirely in French, in which he is fluent (that's three languages so far – any advance? ), where he looks back at the inception and making of the film. Several stories told here are repeated in the commentary and/or documentary, but some of the detail is unique to this extra, which thus augments rather than duplicates information provided elsewhere. The film clips here are dubbed in French. A useful featurette in which few choice sequences are compared to how they play in the director's cut – the version on this disc – and how they were altered for the original American release, where a staggering 40 minutes were cut, music and sound was re-recorded, and the film was repackaged as an all-out horror movie, complete with a 'scary' title font. A commentary-free look at how much or how little the Berlin locations used in the film have changed in the 31 years since the film was made. A most engaging interview with composer Andrzej Korzynski, who recalls meeting director Zulawski at primary school ("we sat on the same bench and made trouble together") and his subsequent seven-film collaboration with him. Tantalising clips from three of Zulawski's films are included, with particular focus on his banned and nearly lost science fiction epic On the Silver Globe. French producer Christian Ferry concisely recalls how he first worked with Zulawski and the films on which they collaborated. A brief but informative look at the work of Polish film poster artists Barbara Baranowska, aka Basha, who designed the poster for Possession that features on the cover of this very Blu-ray disc. This history is provided by Daniel Bird's soberly delivered but well-written narration, illustrated by the often striking posters themselves. A difficult film to encapsulate in trailer form and I'm not sure this rather scattershot one nails it. It also shows way too much of the creature. 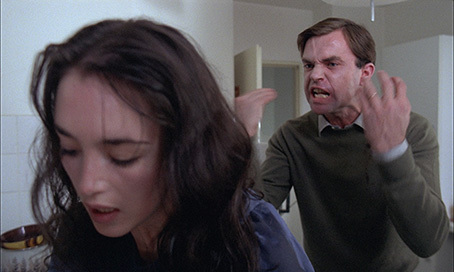 As is stated more than once in the extra features, Possession is a film you either love or hate, and if you loathe it then too bad because I adore every minute of the bold bugger. Gorgeously directed and featuring two genuinely extraordinary central performances, it's a unique and almost unclassifiable film, part relationship drama, part horror, part political allegory, and a good deal more. Second Sight has done the film proud with this Blu-ray, with a solid transfer of the director's cut of the film supported by an excellent selection of top quality special features. Highly recommended.